A few weeks ago, I celebrated my 60th birthday. When I was much younger 60 seems so far away. It appeared to be a huge number as it related to age, but now that I’ve stepped into it, 60 don’t seem large at all. In fact, I would say 60 is still quiet young. Things are seldom what they appear to be when observed from a distance. As my birthday drew near, instead of looking at it as “I’m getting old” I started focusing on the advantages of being sixty. I am entering a season of life where I can focus less on the small things and more on the end goal. My thoughts were, how can I make this next chapter better? How can I move forward in my Kingdom Assignment? I began to thank God for allowing me to see another birthday. It would be the first one I would celebrate without my husband who passed away nine months ago. The reality of knowing that he didn’t live to see his 60th birthday inspired gratitude in my heart because not everyone is blessed to reach this age. In this new season, not only has my decade number changed, but life as I knew it has changed. Although I still feel married, my new reality is, I am a widow. But, I am appreciative to God for blessing me with a good husband. I elect to focus on what I have and not on what is missing. I have 28 years of memories, some good and some not so good but none of not being loved, encouraged, and affirmed daily by the man who chose me to be his wife. I choose to highlight the relationships in my life. A loving family and close friends. I’m grateful for kind neighbors, and my sisters and brothers in Christ. I realize that I am a blessed woman. Life presents an assortment of change and challenge but as we focus on the good things in our lives, the challenges seem smaller. While I know firsthand the difficulty of losing a love one. I am committed to place the greater amount of attention on his life and the impact he made in mines and so many others, and less focus on his death. In the short time we have on earth, I admonish you, don’t look at the obstacle, but zoom in on the opportunity. I take to heart the words of Job 8:7 NIV “Your beginnings will seem humble, so prosperous will your future be.” The thought of facing life without my husband seems unimaginable but with each new day, God provides strength and comfort for what’s ahead. I am trusting the all-knowing God that His plan for my life has not changed. So I adjust my attitude and get excited for what God has called me to do. I am aware that my assignment is waiting for me. I was created in 1959 for a purpose and when I focus on that, 60 is not a big number at all. As we continue moving forward our next action step is to seek to be in the presence of God daily. When I speak of being in His presence, I am referring to being able to sense His presence, especially during our quiet time. 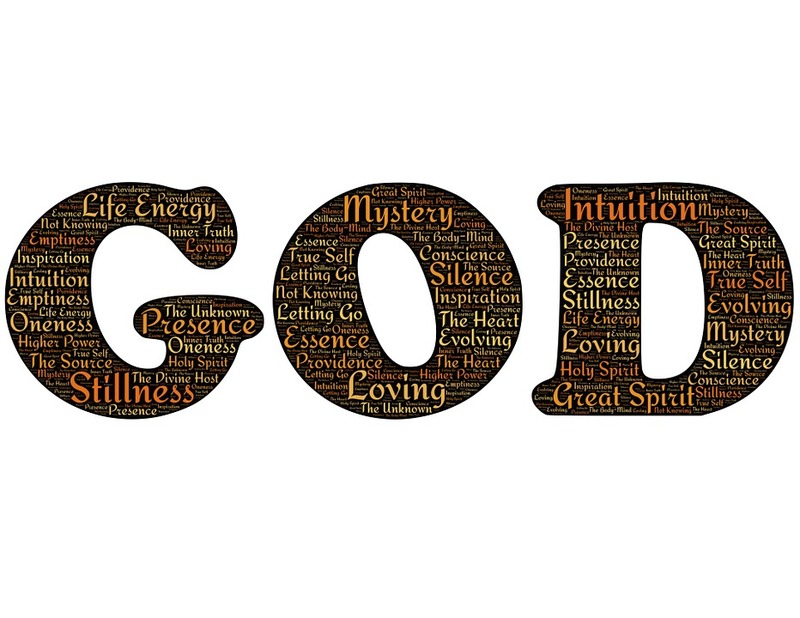 God is omnipresent, meaning He is not restricted by time or space. He cannot be contained. God is present everywhere at all times. God in His whole being is present at every point of our universe. In Psalm 139: 7-12 David affirms that there is no place he can go where the spirit of God is not present. Whether David was trying to flee from the presence of God, or simply marveling at the greatness of God’s mercy, we can be assured that there is no place we can go that would separate us from God’s watchful eye and the protection of His hand. Acts l7.28a reads For in him we live and move and have our being. God has placed within us a desire to worship and seek His presence. He is never far from us and we can depend on Him. For those who belong to Him, we seek to sense His presence continually. We accomplish this by spending time in prayer and study daily. We linger after our time of devotion, waiting to hear what He has to say to us. We communicate with God throughout our day and most of all we seek to obey His will. Psalm 16:11 You make known to me the path of life you will fill me with joy in your presence, with eternal pleasures at your right hand. There are great benefits to being in His presence. In His presence our joy is complete. *Things to bring to your time with God: Bible, Bible commentary, notebook, pen, highlighters, worship music, and other devotional books. *Things to not bring: cell phone, to do list, lap top and other distractions. Pray before you start your quiet time with God; ask Him to help you to focus as you seek to enter into His presence. Perhaps like me, life gets busy and you neglect to spend quality time with God each day. Start leaving something else off so that you can spend necessary time with God. The benefits of being in His presence are immeasurable. What other things do you bring into your private quiet time with God? As we embark on this journey of rediscovery let’s look at our first action step. Remember to use this time to reflect on the promises of God for your life and to evaluate where you currently are. Many times we become anxious when life doesn’t seem to line up the way we think it should. Reflecting on the promises of God will calm our minds and give us peace. In the Scripture when we see the word promise, it refers to a legally binding declaration that gives the person to whom it is made a right to expect or to claim it. According to Scripture, we know that God cannot lie. This gives the believer the assurance that whatever God has said concerning you and me has to come to past. God is not a man, that He should lie, Not a son of man, that He should repent. Has He said, and will He not do? Or has He spoken, and will He not make it good? Numbers 23:19. Just reading this Scripture gives me a double boost. I receive a huge injection of confidence just knowing that I serve the One who makes good on His promises. In Numbers 23:19, unlike the other gods, who were often portrayed as imaginative and easily influenced through witchcraft, Our God was and remains unshakeable. Balak commissioned Balaam to curse Israel in order to deliver the Moabites from possible enslavement and persecution. God’s hand was upon Israel and she would not be cursed. Notice the words would not this means it is absolutely impossible, no way, and nothing you or anyone else can do to change it. God’s promises are sealed. Your present situation may look differently from what you desire it to look like. But as you focus on what God has promised, you will notice your mindset shifting toward thanksgiving. Regardless of the place you are mentally, physically, emotionally, or financially remember what God has said concerning you no man can change it. The psychic Balaam became the mouth of God. There was nothing Balaam could do to bring harm to God’s people. There is nothing the enemy can do to stop what God has planned for you as long as you remain obedient to the Word of God. What do you do while you are waiting for the manifestation of the promises? You pray, wait, and continue to work. There is much work to be done in the Kingdom. I am confident that God has much more for me in my writing and speaking. There are doors that will be opened to me in the future and it’s important that I do not rush and push what God has not opened. It is also vital that I do not lose heart in the process. My faith is in God and what His Word says concerning me, so I don’t allow the circumstances of life to sway me. There will be times when we need to catch our breath but we must never give up. Evaluation is good and necessary but remember God has the final word. So while I evaluate my life to see what I can do differently and in some cases better, I do not lose sight on the One who holds my life in His hands. The Lord will fulfill his purpose for me your steadfast love, O Lord, endures forever, Do not forsake the work of your hands. Psalm 138:8 (ESV) The psalmist tells us that God will complete His purpose as it relates to each of us. Be assured that you will never get to a place where God will leave you to go it on your own. He will finish what He started in you. My prayer focus for 2019 will be in the areas of rebuilding and restoring. 2018 was a year of untold challenges for me. My fifty-eight year old husband went home to be with the Lord on June 20, 2018. When I say “I lost my husband last year,” some will respond by saying “he’s not lost you know where he is.” While that is true — he is not misplaced or nowhere to be found — the loss that I am speaking of is the effects of his death and the lack of his presence that accompanies it. The best way to verbalize this is by using the word loss. There is a void and I miss the contributions he added to my life daily. In this new season of my life, I am confident that my purpose remains intact because I know God has a plan for my life. I know I have a Kingdom Assignment, and I know what it is. There are times in life when we need a moment to refocus. Perhaps you have experienced a death last year. Not necessarily of a loved one, but death of a dream. Maybe you are feeling confusion regarding your purpose or simply experiencing a void in an area of your life. Don’t be discouraged by where you currently sit in life. Let us go on this journey of rediscovery together. I am confident that after we have spent quality time with God, we will reach a new destination stronger, more powerful and with more confidence than before. There are a few action steps I would like to share with you during our journey of what appears to be silence, but God is at work. Seek to be in the presence of God daily. Position yourself in a space that is easy to hear the voice of God clearly. Meditate on this truth: He who has begun a good work in you is able to complete it. “Being confident of this very thing, that he which hath begun a good work in you will perform it until the day of Jesus Christ.” (Philippians 1:6) Apostle Paul uses the word confident, meaning he is convinced. There must have been some previous occurrences for Paul to already be persuaded of God’s faithfulness. This message to the Philippians was a proclamation that he remains persuaded that God was going to do a good work among them. Not just one of them, but among all who believed on the name of the Lord. The word until notes progress toward a goal and shows that a time is coming when God will absolutely finish His work not only among the Philippian believers but among our generation of believers as well. I am praying for your strength for the journey and restoration for the next phase of purpose. What has God started in you that you are waiting for Him to complete? Caregivers must be intentional about caring for their own health. In the process of caring for someone else, it’s easy to neglect yourself. Just as you make a schedule for your loved ones, make a schedule for yourself. Schedule down time for yourself even if it’s sitting outside in the fresh air. You are valuable, if you do not take care of yourself how will you care for others? My husband has an aide that comes three days a week, it’s only for an hour or so but that an hour that I can use to get out of the house. She will call and let me know when she is on her way and I immediately begin to gather what I need so that I can walk out the door as soon as she walks in. I usually use that time to get in some form of exercise. Exercise has several benefits, one of which is that it improves your mood while also decreasing anxiety and stress. During exercise your body releases chemicals that improve your mood. As little as 30 minutes of exercise can have positive results on an individual. I know from personal experience that I am happier when I exercise. I walk away from a workout with a feeling of accomplishment that I have done something good for myself. While we as caregivers are busy doing for others, do not overlook yourself. If you want to have something to give to the one you care for be sure to nourish yourself, otherwise you will be empty. You will have nothing for yourself and certainly nothing to give others. My book See Me Hear Me Know Me from The Heart of a Caregiver I share my journey of being a caregiver for my husband. Next month will be 10 years that I have been his caregiver. It has been quite an interesting journey to say the least. With the fluctuation of his condition you would think it would make my job easier. Well, sometimes it does but to be honest most of the time it does not. It’s the not knowing what to expect that has been one of the great challenges for me. One day he is quite independent than the next day he is dependent. Scott, my husband has just come home from nearly a one-month stay in the hospital. With this new discharge brings new challenges. When I wrote this book, my goal was to give a voice to caregivers. To add validation their emotions and let them know that they are not alone. It has been one of my great joys to hear from caregivers who have read the book and to learn how much it helped them. Sharing our story has opened doors for me to speak to Caregiver Support Group where I have met some amazing individuals. Caregivers work hard doing a job that no one really asks for. The answer that Apostle Paul received in this Scripture is not the answer we seek when we go to God with an issue, but it was a good answer. The Apostle was assured that God’s grace was sufficient for all his needs. Even in his infirmity that could have hindered his effectiveness, the grace of God was sufficient. As caregivers, know that whatever demands your role as a caregiver puts on you, the grace of God will see you through. His grace is often in the form of tools and resources that come to assist caregivers. Be wise and take advantage of every opportunity to receive the help you need. Caregivers must take care of themselves so that they can continue to care for the most vulnerable among us.